Boot-spotters everywhere were in for a real treat as Loic Remy turned out to training testing the new Puma v1.11 for the second time in the boot’s development. 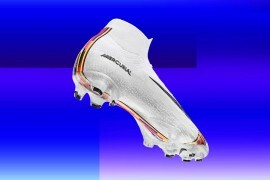 We first clocked Remy in the Puma v1.11 here at Footy-Boots.com early last month, when the French international completed a full training session in a blacked-out version of Puma’s as-yet-unreleased football boots. It now seems that Remy has moved onto the next phase in the Puma v1.11‘s testing as he returned to training in Puma’s speed boots, giving snappers an up-close-and-personal glimpse at his future football boots. This photo in particular gives us a great look at the outstep of the Puma v1.11, and shows off the Puma branding rather well, too! Starting at the ‘top’ of these football boots, we get a detailed insight into the ‘wrap-around’ lace cover featured on the Puma v1.11. 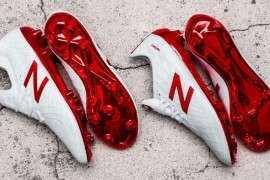 As we pointed out last time, this system is remarkably similar to that used on several older adidas F50 models, including the use of a separate tongue underneath the lace cover, presumably for comfort. Looking at the soleplate, we can also see that the Puma v1.11 uses a chassis that is exceptionally similar – if not identical – to that of the current v1.10. This would likely mean the return of Puma’s well-received ‘OptaLast’ outsole system, and the ever-solid v1 series FG stud configuration. 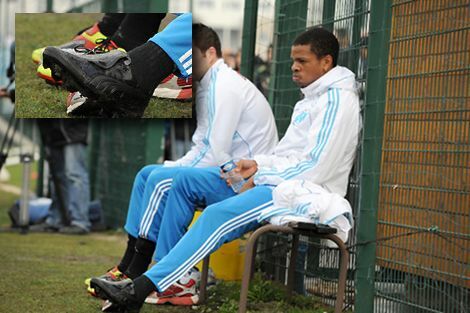 Loic Remy during his last training session in the Puma v1.11. We learnt from Remy’s last appearance in the Puma v1.11 that Puma look to have reduced the weight of the Puma v1.11 by slimming down the Uni heel counter system on this incarnation, and we can’t wait to see what this does to the gram count on these football boots. Whilst the adiZero Prime seems almost untouchable at a staggering 145g, need we remind you that Puma have twice held the title of makers of the World’s lightest football boots? With past successes like the Puma v1.815 Ferrari and the v1.10SL under their belt, we can’t write Puma off when it comes to making the Puma v1.11 into something that could compete with the Prime! 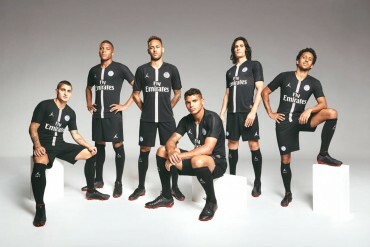 One thing that we’ve got to say, though, is that we hope that Loic Remy’s face in this photo is not a reflection on the new Puma v1.11‘s performance – otherwise it might well be back to the drawing board for Puma! Thanks again to DDChile, who – legend has it – was born with the eyes of a mighty hawk! Previous articleLIFE’S A BEACH WITH NEW UMBRO Vs. GEAR! I’m currently watching an Australian rugby union match, the western force vs the nsw waratahs. 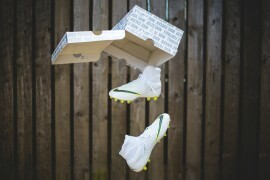 And I’m fairly sure that the force’s number 15, James O’Connor is wearing these blackout v1.11s. Interesting to see that Puma are testing them on other sports!